This outfit is Reversible! 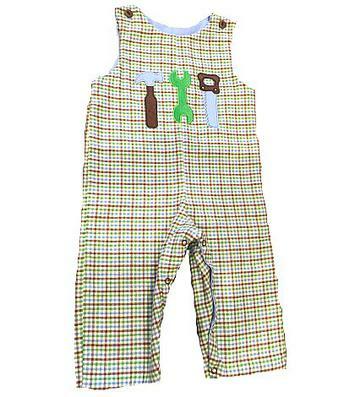 Boys love to play with tools and this adorable green, blue, brown and cream plaid longall has three applique tools on the chest. 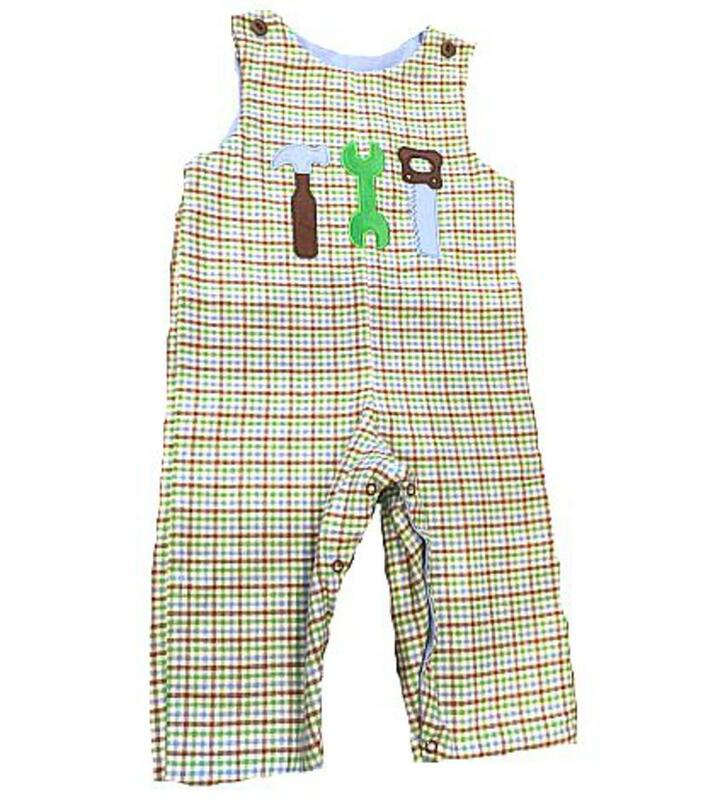 The reversible side is light blue with a plaid horse applique on the chest. There is a button on each shoulder of both sides to get on/off easily and snaps on the inside of the legs to accomodate diaper changes. This super soft longall is 100% cotton and would pair perfectly with a brown turtleneck.